I'm using 17.04 ( Clean Install ), and as far as I remember, every try to install any sofware- it fails with that error code. 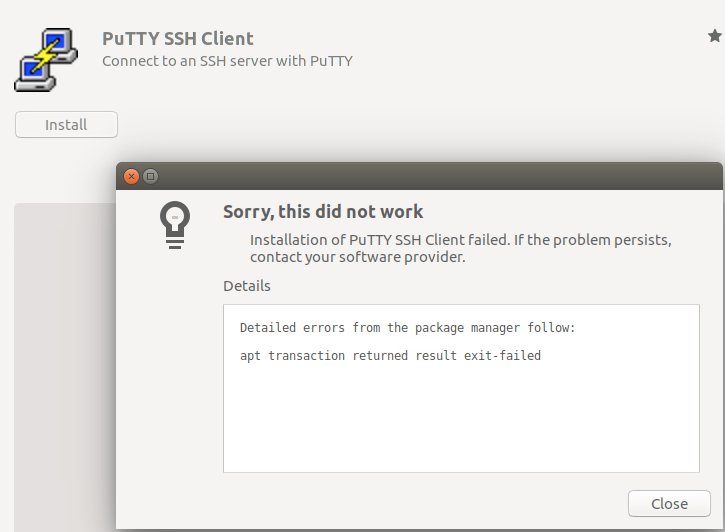 I tried sudo apt-get update && apt-get upgrade and problem persists. E: The repository 'http://il.archive.ubuntu.com/ubuntu zesty Release' does no longer have a Release file. E: The repository 'http://il.archive.ubuntu.com/ubuntu zesty-updates Release' does no longer have a Release file. E: The repository 'http://il.archive.ubuntu.com/ubuntu zesty-backports Release' does no longer have a Release file. Need to get 661 kB of archives. After this operation, 2,713 kB of additional disk space will be used. You'll get the best server if you choose Other, then click Select Best Server. On that option, the system will run tests and match you with a mirror server with the best performance for your location. Not the answer you're looking for? Browse other questions tagged software-installation 17.04 or ask your own question. Can I install software even though the repository hasn't been updated for my Ubuntu release version?